In November 2011, Paoli Tech’s engineering students created an association called Associu PAOLI TECH gathering engineering students of Paoli Tech and students coming from the Integrated Preparatory Cycle (CPI). The association office, composed of a president, a vice-president, a treasurer and a secretary, is elected among students studying in 2nd year of Paoli Tech. The association’s goal is to promote the school: indeed, students have established contacts with the National Office of Engineering Students (BNEI), some Regional Offices of Engineering Students (BREI) and several schools throughout France. The association’s goal is also to improve the engineering students’ teaching environment. 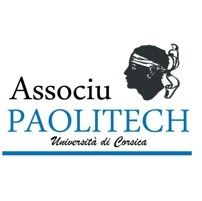 Lastly, the association Associu Paolitech is involved in the stimulation of the student life through many one-off actions (student parties, sporting events, trips…) and the edition of the Journal of the students relating the various activities carried out within the school.